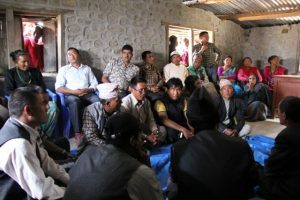 I had the opportunity to accompany the TSS (Tamakoshi Sewa Samiti – our partner NGO in Nepal) team to the district of Hilidevi for an initial community-wide engagement visit. Here, TSS will support the construction of household toilets. This work will be funded by the Global Affairs Canada grant in Maternal, Newborn and Child Health. The community of Hilidevi faces many challenges in health care and development. First, it is extremely isolated. It is a 5-hour drive from Manthli and roads are often closed due to the weather. Second, the community lacks basic necessities. There is no access to electricity and most people have no access to water. Lastly, the village does not have accessible health care, though there is a health post in the district headquarters. With so many challenges, where does development even begin? 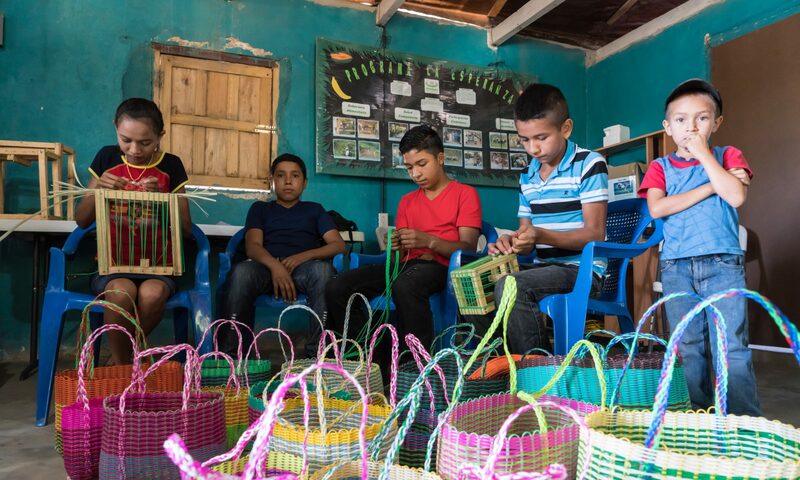 The community-wide meeting in Hilidevi gave individuals, families, and service providers an opportunity to discuss some of these challenges. In total, there were 8 TSS personnel and 55 community members, ranging from children, mothers, elders, teachers, health care workers, political leaders and female community health volunteers. TSS project coordinator and board member presented their invitation for collaboratively building household toilets in the district. This was followed by an invitation for community members to discuss their experiences of health care. Themes that circulated the room were access to healthcare services, lack of accessibility due to their geographical location, the need to include and provide for those who cannot afford to build their own toilets, and an agreement that ODF (open defecation free) was a priority for the community. This participatory process ensures community buy-in, allows dialogue and discussion, and further gives community members, like the health services providers, an opportunity to discuss the importance of topics like household toilets in relation to infectious disease.